Pramiracetam is a central nervous system stimulant and nootropic agent belonging to the racetam family. It is much more potent than piracetam but appears to work on similar mechanisms. Pramiracetam is generally tolerated even at a high dosage but individual results will always vary, so you should find the dose that is right for you. For the most part a daily intake of 1200mg in total is a good dose. Split this across two or three smaller doses a day, so three 400mg doses for example. This dose is a great place to start and from here you can reduce or increase your dose to get the right one for you. It doesn’t mix well with water so you need to take it with oil or food to get the most out of it. Memory – Pramiracetam stimulates your hippocampus, which is memories are formed. As such it can greatly enhance your memory. Users of pramiracetam have reported that they have an easier time creating new memories and recalling old ones. There are even animal studies that confirm this effect, so you know for sure you’re getting a memory boost with this nootropic. Learning – Taking primiracetam makes it much easier for you to learn new things. It also makes learning more enjoyable. Part of this is down to the memory boosting abilities of the supplement and it is also thanks to the neuroplasticity provided by the supplement. Social Influence – A strange benefit of taking pramiracetam is that it can improve how you respond to social situations. Taking the supplement makes it easier for you to join in and enjoy a conversation. Part of this is attributed to the overall mental optimisation that the supplement provides. It could also be due to the emotional blunting nature of the supplement, which would reduce your social anxiety and make it easier for you to speak up. Sensory Perception – Taking pramiracetam improves your overall sensory perception, which basically means it enhances your senses. You see and hear better at the very least. Sounds are more amplified and your eyes see better with a wider contrast of colors. Memory Repair – While the clinical trials that looked at it were a little limited, pramiracetam has shown that it can effectively treat memory loss and the other cognitive problems that come with brain injuries. It is also on the list of nootropics that are tested in the United States as a potential treatment for the memory loss caused by neurological disorders such as Alzheimer’s disease. One study showed that it was able to reverse a form of chemically induced amnesia in healthy volunteers. Pramiracetam will be just fine by itself but it can make other nootropics more effective. 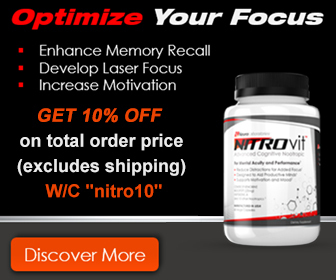 It work great with other racetams and so it is used in a lot of different nootropic stacks. It’s a good idea to stack it with an energy boosting supplement such Adrafinil to further enhance the mental alertness effects or an anti-anxiety nootropic such as Aniracetam.